Avoid: Online Breast Milk may contain ??? Breast milk sold online may be contaminated with disease-causing bacteria, researchers have found. After noticing more women offering to buy and sell breast milk over the Internet, researchers launched a study to see how safe that milk really is. They sent anonymous purchasing requests to about 500 sellers on a popular U.S. milk-sharing website. About half of the sellers answered, and finally about 100 milk shipments arrived. “We found three quarters of the milk that we studied was contaminated, either with high levels of bacteria, or certain disease-causing bacteria, like the kind found in human waste,” said study author Sarah Keim, researcher at Nationwide Children’s Hospital, in Columbus, Ohio. The breast milk was frequently contaminated with coliform bacteria, which are commonly used as indicators of the sanitary quality of food, and staphylococcus bacteria, which grow in improperly stored foods. Three samples were contaminated with Salmonella, according to the study published today (Oct. 21) in the journal Pediatrics. “Some of these bacteria come from mother’s skin and are usually harmless at normal levels. But coliform and salmonella could be coming from elsewhere,” Keim said. “We know from another study that about two-thirds of women who use a breast pump never wash” its parts, she said. Other sources of contamination could include not washing hands before obtaining and storing milk, or bacteria from other foods in the freezer where milk is stored, she said. While certain bacteria are natural components of breast milk and are healthy for the baby, abnormal levels of some types of bacteria, and contamination with disease-causing bacteria could be dangerous to infants, especially those who were born pre-mature or have weak immune systems, the researchers said. A previous study showed about 20 percent of people looking online for breast milk mention they have a baby who was born pre-mature or has a health condition. The U.S. Food and Drug Administration warns against feeding babies breast milk obtained online, as the donor is unlikely to have been tested for infectious disease, and it’s not clear whether the milk has been collected and stored safely. The agency, however, doesn’t regulate breast milk, as it’s categorized differently than blood or other highly regulated donated tissues. In the study, the researchers compared the Internet-purchased samples with unpasteurized breast milk samples from a hospital’s milk bank, and found higher overall bacterial counts in the Internet samples. Sixty-four percent of the Internet samples tested positive for staphylococcous, compared to 25 percent of milk bank samples. The results also showed that each additional transit day was associated with an increase in total bacteria count in milk purchased online. There are other avenues for risk as well, the researchers said. Women who are lactating and selling their extra milk could be using medications, or could be exposed to chemicals because of their occupation, some of which could find their way into the milk. “There’s also the possibility that milk has been watered down or mixed with cow milk, which is not healthy for the infant,” Keim said. Mothers who want to provide breast milk to their infants but have difficulty making enough should work with their pediatrician and consider using lactation support services, Keim said. Women who produce extra milk may want to consider donating to a milk bank, she said. This entry was posted in Health News and tagged avoid online breast milk, aware of online breast milk, Bacteria, Columbus Ohio, FDA says, Food, Food and Drug Administration, Human breast milk, Milk, Nationwide Children's Hospital, online breast milk, Salmonella. 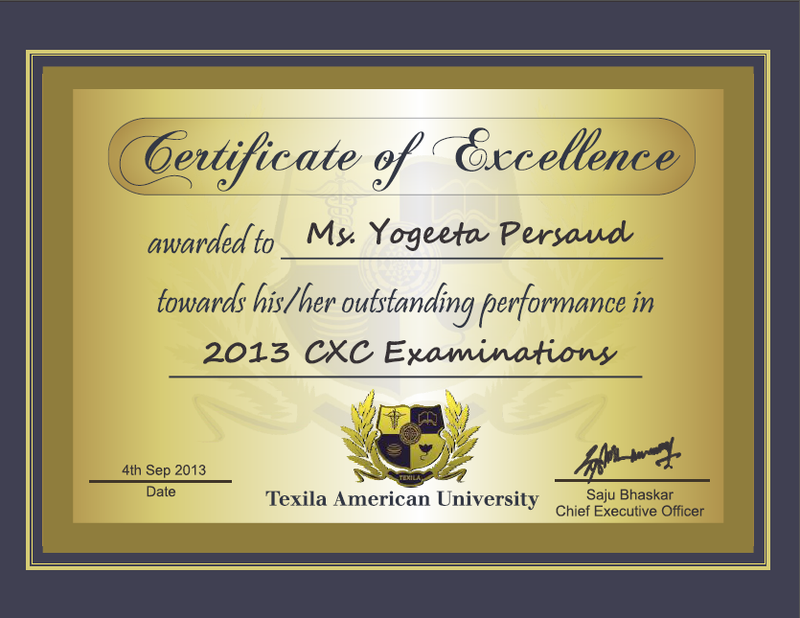 Texila American University (TAU) honoured the country’s top two students at the recent Caribbean Secondary Education Certificate (CSEC) examinations. School were presented with cash incentives of GY $80,000 and GY $50,000 respectively and certificates of excellence from the university by its International Relations Manger Ashok Kumar. Kumar said the students have made Guyana proud, and as part of the university cial responsibilities programmes, it is their pleasure to honour the students for their hard work. He urged the students to stay focus on achieving their goals, wishing them well in their future endeavours. He added that the local students enrolling at the university benefits from a favourable education package. Both Zamina Rasheed and Yogeeta Persaud thanked the university for the awards, noting that that they will be spending the money on purchasing books. Zamina Rasheed and Yogeeta Persaud secured 19 and 18 grade ones respectively at the recent CSEC examinations. Meanwhile, Tourism and Hospitality Association of Guyana (THAG) President Kit Nascimento emphasised the importance of education to the country. TAU is a fully registered university by the National Accreditation Council of Guyana. Additionally, it receives its listing from the World Health Organisation (WHO), which enables its graduates to practise worldwide, including the United Kingdom, Australia and New Zealand. This entry was posted in Educational News and tagged American University, Ashok Kumar, Caribbean Examinations Council, Caribbean Secondary Education Certificate, country’s top two students, Guyana, Private Sector Commission, PSC Chairman Ronald Webster, Ronald Webster, TAU-CSEC examinations, Texila American University, Texila csec, texila csec news, Yogeeta Persaud, Zamina Rasheed and Yogeeta Persaud got award-tau. China has confirmed a new case of the H7N9 bird flu, state media said, the country’s first report since August of human infection with a virus that has so far afflicted 135 people. A 35-year-old man in Shaoxing in China’s eastern province of Zhejiang has been hospitalized with the virus and is in critical condition, the official Xinhua news agency said on Tuesday. “Liu, a company employee from Shaoxing county, was admitted to a township hospital on October 8,” the agency said. China’s National Health and Family Planning Commission said 45 people had died from the virus, which was first detected in humans early this year. Zhejiang has recorded the highest number of H7N9 infections anywhere in China. While there have been only a handful of H7N9 infections during the summer months after a surge in April, flu experts warn that the threat posed by the virus has not passed. The first scientific analysis of probable transfer of the new flu strain between humans, published in the British Medical Journal in August, gave the strongest proof yet that it can jump between people, and so potentially cause a human pandemic. 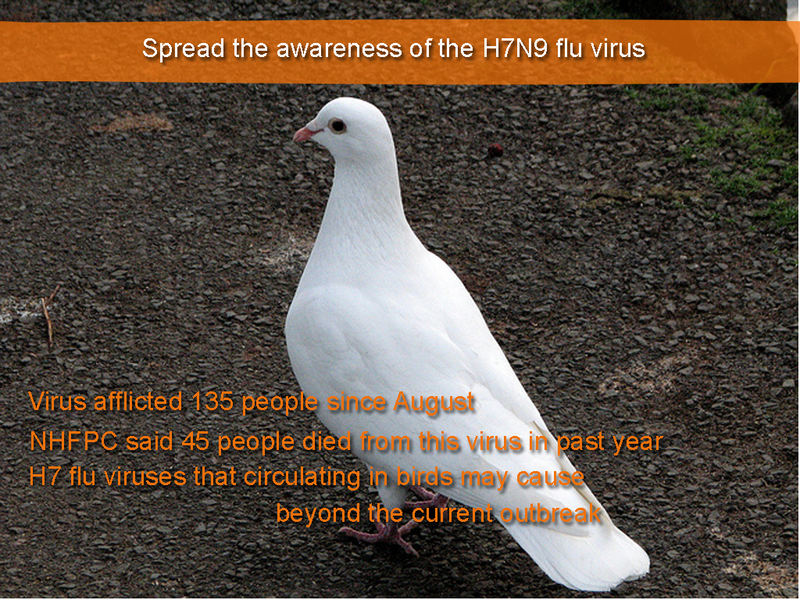 Another study published in August identified several other H7 flu viruses circulating in birds that “may pose threats beyond the current outbreak”. This entry was posted in Medical News and tagged August, aware of H7N9 flu virus, BMJ, brid flu virus, China, china bird flu virus, china H7N9 flu virus, H7N9 flu virus, h7n9 virus, Influenza, its spread to humen, Liu, Shaoxing, Xinhua News Agency, Zhejiang. Afflicting one-in-three Americans, osteoarthritis often occurs as aging cartilage wears down, causing swelling and pain as bone rubs against bone. Eating more fruit and vegetables might help protect joints in a variety of ways – from supplying nutrients like vitamin C needed for calcium absorption and collagen formation, to making it easier to avoid obesity, which places unhealthy stress on vulnerable joints. 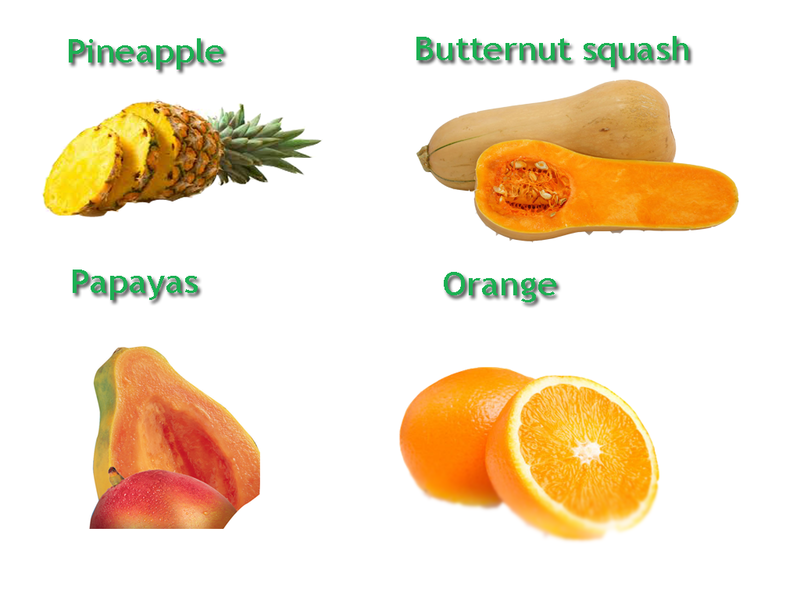 Certain fruits may offer added protection: in preliminary research, British scientists found a 50% reduced risk of developing poly arthritis among those with the highest intake of bright orange produce, like papayas, tangerines, and butternut squash. Pineapple and cherries contain other compounds under study for anti-arthritic effects. In seeking solutions for joint discomfort, choose whole foods over supplements. Research from our Dole Nutrition lab found fresh and frozen pineapples have as much if not more phytochemical content than found in pill form. Other research suggests glucosamine pills may be a dud dose: A Tufts study found commercial supplements may contain too little glucosamine to be of benefit, while the safety of larger amounts remains uncertain. BONUS: Knead knees to feel better? Osteoarthritis sufferers reported less knee pain and better function after two months of regular massage. This entry was posted in Health News and tagged Arthritis, butternut squash, Caribbean, Conditions and Diseases, eat fruit get healthier, eat fruits, fruits, fruits helps to solve the knees pain, health, healthy fruits, Knee, Knee pain relief, Knees, Magnetic resonance imaging, osteoarthritic, Osteoarthritis, papayas, research, tangerines. 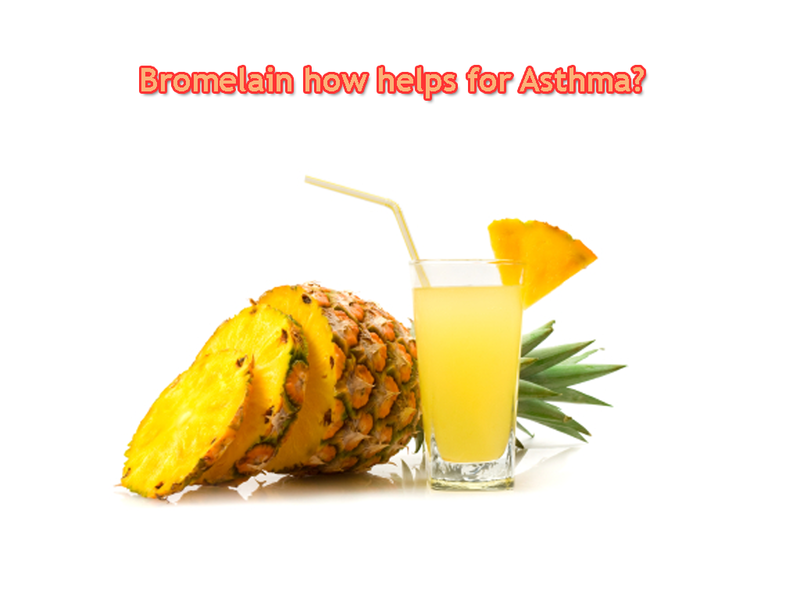 For example, pineapple is an excellent source of the antioxidant vitamin C, which also may help asthmatics. Researchers found that asthma sufferers had lower serum levels of vitamin C and beta-cryptoxanthin. Researchers speculate that the inflammatory effect of higher levels of estrogen and leptin associated with excess weight might interfere with the functioning of muscle cells lining the lungs and air passages. Double whammy: Asthma induced by weight problems makes it even more difficult to draw the oxygen you need to carry that extra heft around. This entry was posted in Health News and tagged Asthma, beta-cryptoxanthin, Bromelain, Bromelain enzyme, Conditions and Diseases, Enzyme, health, Pineapple, pineapple helps to relief asthma problem, Pineapple relief asthma, Vitamin, Vitamin C.
The man suffered damage to his nose and an infection after a severe car accident, and the infection had eaten away at the cartilage in his nose, making it impossible to for doctors to fix his original nose. Instead, the team decided to grow the man an entirely new nose on his forehead, But despite its extreme appearance, this method is really just a variation of plastic surgery techniques used all the time, said Dr. David Cangello, an attending plastic surgeon at Lenox Hill Hospital and Manhattan, Eye Ear and Throat Hospital in New York. “I would call it a different take on a principles that we commonly use in re-construction,” Cangello said. The man’s doctors placed tissue expanders, which create space to stretch the skin, under the man’s forehead, and created the rough shape of a nose. They then harvested cartilage from his ribs to create a frame for the nose, probably using screws and plates. Once the nose is ready, they will rotate the entire assemblage — skin, blood vessels, cartilage and all — and move the new nose to where his current nose sits. That is only slightly different from current methods of nose reconstruction, Cangello told. Though reconstructive surgeons would also put tissue expanders under the forehead skin to stretch the skin enough to cover the new nose, they would place the nose differently. Afterward, the doctors suture together the skin flaps of the forehead or leave the skin to heal on its own, which will usually leave a small scar. Though it may seem like a patient might prefer to grow a new nose on a different part of the body that could be more inconspicuous, there are good reasons to use forehead skin. The forehead also has blood vessels that nourish the tissue transplant, so the surgeons don’t have to disconnect and reconnect those vessels to place the nose in its correct position. If the doctors were to grow the nose on a forearm or a leg, for instance, they would have to undertake a laborious microsurgery to take the blood vessels that feed and drain the transplant. The man still seems to have a nose that, at least in pictures, looks fairly normal. By contrast, his replacement nose is pretty large. But the new nose should contract to some extent once it’s in place, he added. 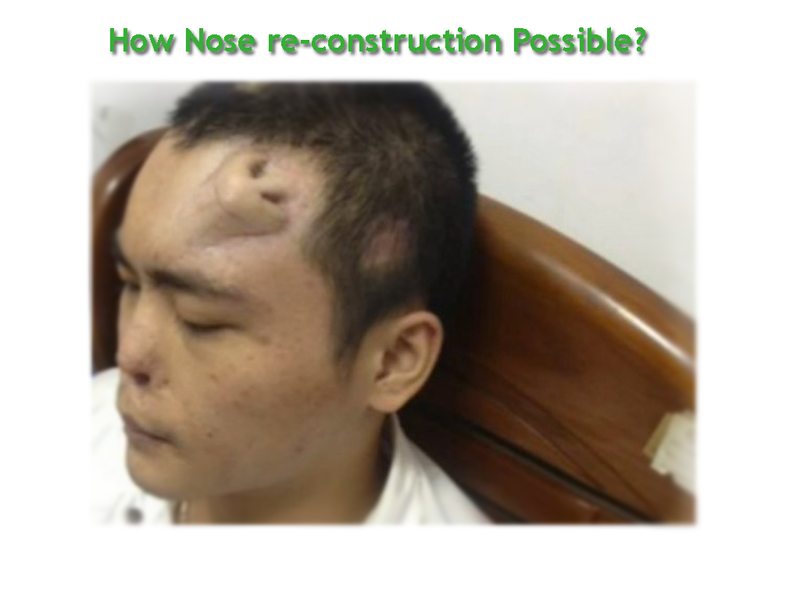 Editor’s Note: This story has been updated to add more detail and to clarify the techniques used for nose reconstruction. This entry was posted in Health News and tagged blood vessels, Cangello, Cartilage, China, Forehead, Lenox Hill Hospital, New York, Nose on forehead, Nose on Man's forehead, Organ transplantation, Plastic surgery, reconstruction of Nose, tissue, tissue expanders.